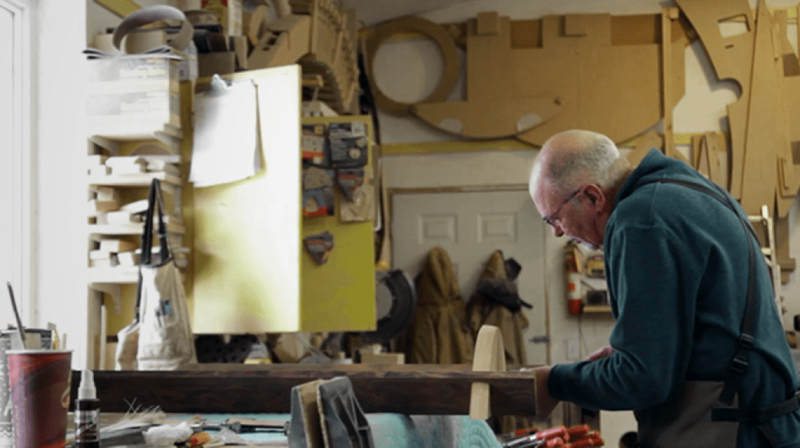 Being a wood worker and proud member of Craft Ontario myself, I was more than glad when Craft Ontario approached me to direct and shoot their new membership video. It allowed me to meet some very passionate fellow craftspeople like Amir Sheikhvand, Kim McBrien Evans, Tracey Lawko, and ( a special treat for me ) wood working master Michael Fortune. I would like to thank Craft Ontario for this wonderful opportunity and the trust and freedom they gave me throughout the production. Craft Ontario is a not-for-profit service organization that works to have craft recognized as a valuable part of life. I am glad to announce that I will have the opportunity to work on the tour documentary for upcoming Canadian jazz band SOA. You can help us make this project possible by contributing to our joined indiegogo crowdfunding campaign. On the IndieGoGo site you’ll find a short video, featuring Chrystelle Maechler, the singer/founder of SOA, and myself, explaining the project. The tour will bring us to to some exciting venues in France and Germany. The documentary will be an intimate insight into the reality of a young jazz band. We hope to be able to submit the film to music and art related film festivals all over North America and Europe. If you want take part in the project and support my film and SOA’s tour, you can contribute to the campaign and get some exclusive perks in return. I want to give one version to print and craft a custom wood frame for it. I would appreciate if you could help me decide and give me your feedback. Or just vote on my facebook page by commenting “verion1” or “version2” with or without some more feedback why. I hope I get lot’s of feedback. Feel free to share as well.